This is a sponsored post for Prego®. The recipe and all of my opinions are 100% my own. Busy, Busy, Busy. This time of year with the kids back in school, sports starting, clubs, homework, etc. My head is spinning. I don’t want to worry about dinner. 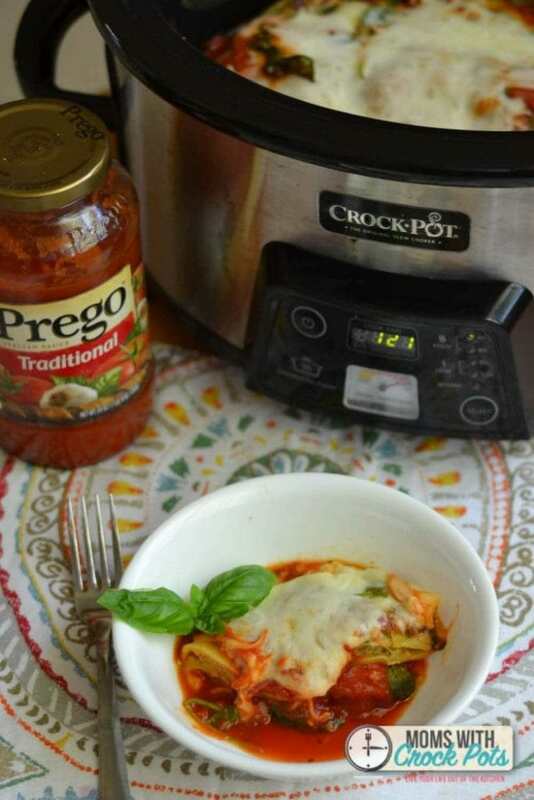 I keep my pantry stocked with great ingredients to throw a quick and easy dinner together like Prego®Traditional Pasta Sauce. Oh… and my crockpot. 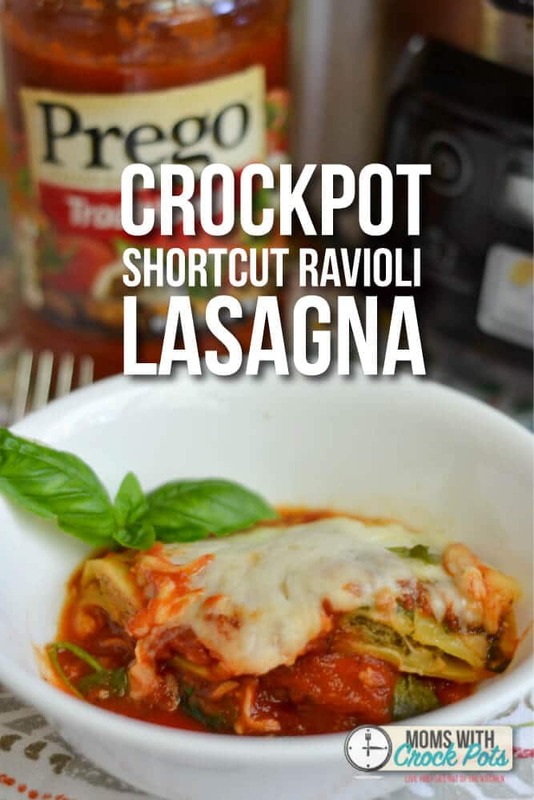 This Crockpot Shortcut Ravioli Lasagna is perfect for any night of the week, and takes only minutes to assemble. I love making lasagna, but it does take some work. 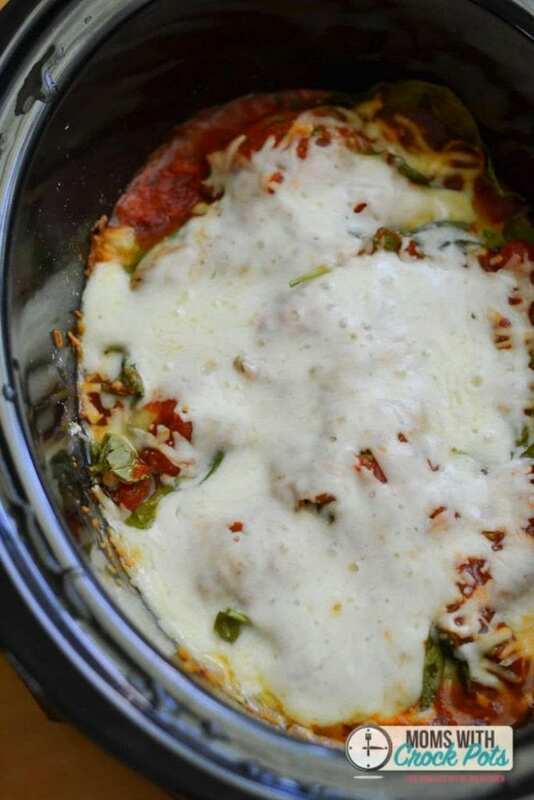 This Crockpot Shortcut Ravioli Lasagna takes all of the work out of it! I popped open a jar of Prego Traditional Pasta Sauce and poured some in the bottom of my 6 qt crockpot. My pantry is always stocked with Prego! It is my favorite jarred pasta sauce. 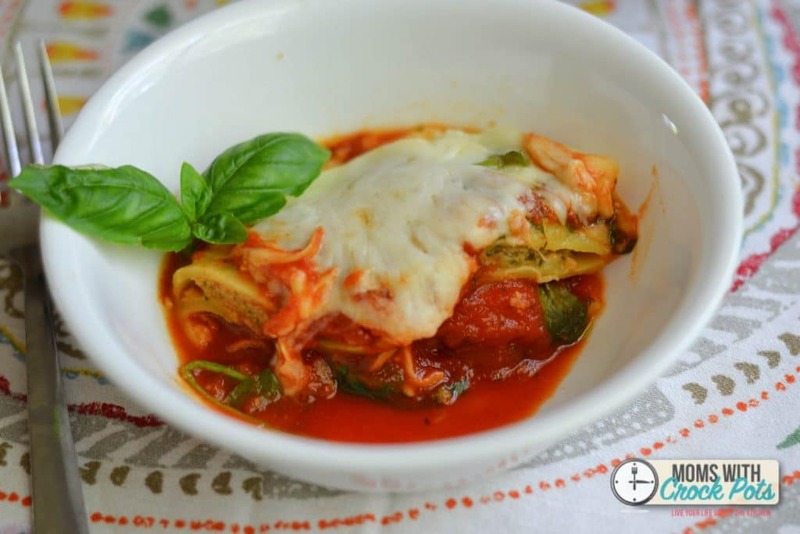 It has a rich full flavor just like a homemade pasta sauce! Then it’s time for the layers. Place in the cheese filled ravioli, spinach, mozzarella cheese, then more sauce. I continued these layers alternating cheese filled ravioli and beef filled ravioli. I continued for about 3 layers, or until I ran out of ingredients. The top layer was the shredded mozzarella cheese. Cover and cook on low for 4-6 hours. 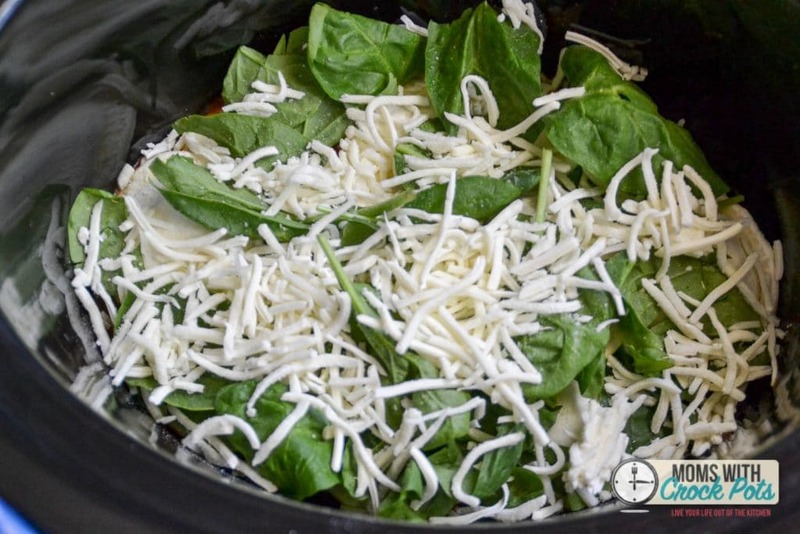 When you open that crockpot you will be ready to dig in! I can’t tell you how simple this is, and it still tastes like homemade deliciousness. The Prego Traditional Pasta Sauce really gives this dish a full flavor that makes it taste homemade! This is one of those perfect dinners that no one can tell came from the crockpot. A definite winner for those busy nights! 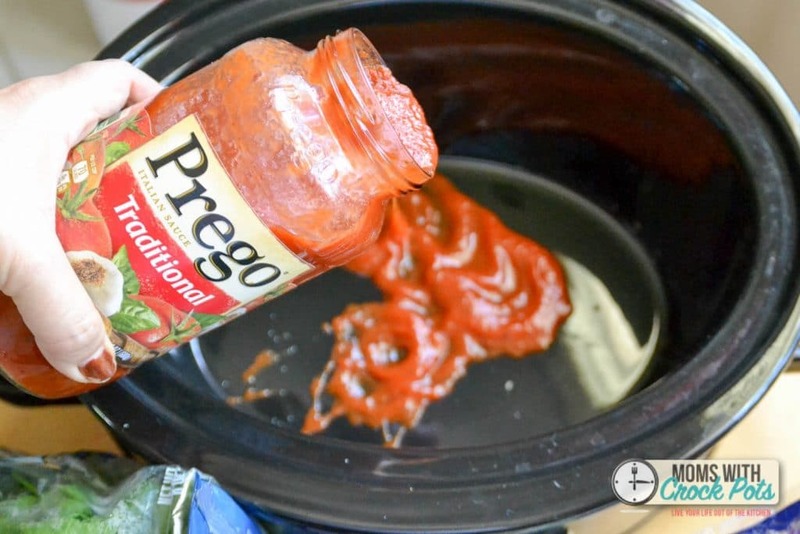 In a large 6 qt crockpot place 1 cup of Prego sauce and spread it evenly over the bottom. Place a single layer of beef ravioli, top with 1/2 of the spinach, 1/2 cup of cheese, and 1 cup of sauce. Place a single layer of cheese ravioli and again top with spinach, cheese and sauce. Continue with 1 more layer if you have enough ingredients left finishing with a layer of cheese. Cover and cook on low for 4- 6 hours.